At the start of every academic year the university lecturer is faced with the task of recommending certain books to the new, eager crop of students taking his or her subject. Of equal importance, and frequently undertaken with even more enthusiasm, is the task of warning students off certain other books regarded as flawed, tainted, dated, defective, dangerous, or just plain bad (books to which undergraduates seem to have an uncanny attraction). Since it was first published in 1970, Richard Roche’s The Norman Invasion of Ireland has had just such a health warning attached to it. This is unfair. Professional historians guard their domain jealously and aggressively. They have little tolerance of those whom they regard as fly-by-night amateurs, and tend to regard their work with, at best, a kind of benevolent disdain, at worst, disparaging condescension. There are good reasons why historians react in this way; primarily because they know that good history cannot be written easily, that it is a hard slog, that skills and training are required for which there are no short-cuts, and that history, in the wrong hands, can be a dangerous weapon. This is a healthy attitude and historians need not be embarrassed by it. But they must be careful to ensure that it does not produce a frame of mind that allows their subject to become out-of-touch and inaccessible, or that it becomes more important to preach to the converted among their own ranks than to communicate the fruits of their learning to a wider audience. There is a wide audience for history, and professional historians have a duty to serve it. Richard Roche wrote his book on the Anglo-Norman invasion because, as he puts it himself in his preface, ‘I was struck by the fact, as I consulted authority after authority, that there did not appear to be any handy-sized book available in which the story of the invasion and the invaders was told in a simple, straightforward manner’. This is an indictment of professional historiography: before casting stones in Roche’s direction historians should examine their own consciences on the matter. Having done so, one can look at—and criticise—Roche’s book with equanimity. It has faults aplenty. It is dated in approach. Although the 1995 reprint is described as a new edition (and is, incidentally, lavishly illustrated), no use appears to have been made of work published in the last fifteen years or so, in particular Marie Therese Flanagan’s Irish Society, Anglo-Norman Settlers, Angevin Kingship (Oxford 1989). References to ‘the progress of Celtic civilisation’ in eleventh and twelfth century Ireland, and to ‘the establishment of a unified Celtic nation’ (p.44), are guaranteed to make historians of the period cringe, while statements like ‘This was the first battle of the Norman invasion, the first attempt to stop the foreigners, the first bloody encounter in a struggle which was to last for over eight hundred years’ (p.124) have what some might regard as naive or simplistic political undertones. Like most amateurs (and I intend that word to include its original meaning), Roche has a preoccupation with the dramatis personae of his tale; much of the author’s time is spent trying to reconstruct their personalities, and their actions are frequently ascribed to personal animus. Professional historians tend to play down such matters, and concentrate on events rather than personalities, and on themes and trends, rather than speculative mind-reading. 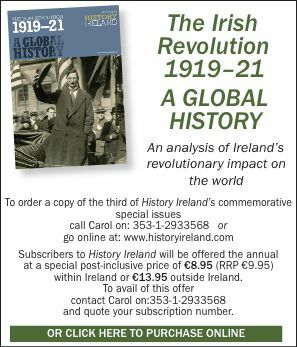 It should be said in Roche’s defence, however, that although the work of some professional historians, because of this approach, can appear sterile and lacking in a human dimension, his story teems with life. It is, in fact, an excellent read, and has all the attractions of a novel without excessive artistic licence. The account is brought to life, and made verifiable, by extensive quotation from the main contemporary sources, and here he employs a commendable attention to detail and accuracy. Roche’s book is a straight forward narrative of the invasion. It does not address many of the major questions which surround this important event, but, as history of the ‘what-happened-when’ variety goes, it is quite a useful book and is standing well the test of time.